The letters, diaries, and musings of slightly chemically imbalanced animals. 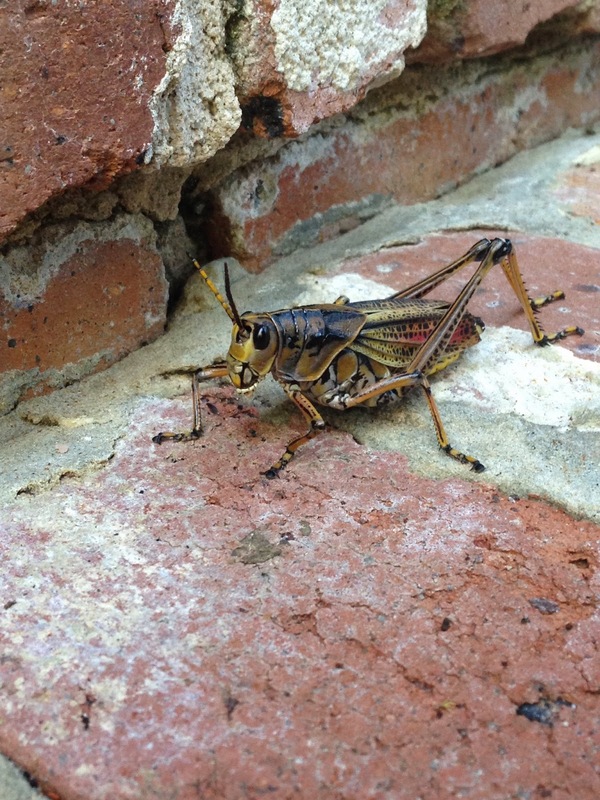 Above is Garrison, the grasshopper. This photo was taken just a moment before he got the phone call from his agent that his poem was accepted to be published in the latest edition of Bugs and Ballads. Turning the offer down was the hardest decision in Garrison’s life. Thank you for your kind offer to publish my poem about being trapped in a vase “Glass is Greener” in your latest edition. I must, however, decline as I have decided to take my material in a wholly different direction. Instead of desiring to witness my words on the printed page, I feel that my new calling in this life is to hop around the world and impart my experiences as a slam poet. I hope that I can found an entirely new art form and way for my kind to express myself through the use of stridulation as well as through words. This new means of expression will be called “hop poetry” and I hope one day it will become a wildly-embraced phenomenon. Thank you for providing me with the external validation I needed to make this decision with confidence. Off Kilter Critters by Kristen Bobst is licensed under a Creative Commons Attribution-NonCommercial-NoDerivs 3.0 Unported License. Based on a work at off-kilter-critters.blogspot.com. Copyright 2011 Kristen Bobst - Original photos By Chris and Kristen Bobst. Watermark theme. Powered by Blogger.